​Someone gave me a beautiful set of electric candles for my birthday on Jan. 20, but the card identifying the giver was missing and I don't know who to thank. If you are that person, please call me at 206-538-8901. Hold your pointer steady over an image to display its caption. 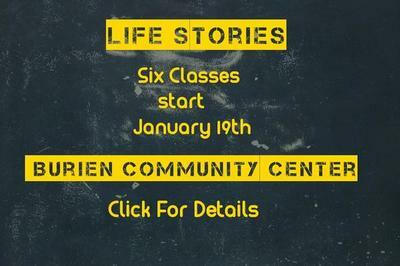 Click an image to enlarge it or to go to a linked web page. Images will be removed after one month or as requested. Your name will not be published unless you enter it in the image caption yourself. We recommend first name, last initial in the image caption if you are not comfortable publishing your last name. Apartment will not be published unless you enter it in the image caption yourself. Building can be useful for looking up contacts in the AGRC resident directory. Email address will not be published in image caption unless you enter it yourself. Phone number will not be published unless you enter it in the image caption yourself. 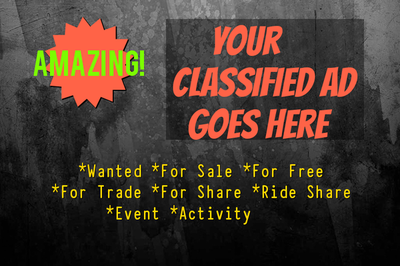 Objects and services can be listed as wanted, for sale, for free, for trade, ride share, or event/activity. Be sure to indicate which it is in your image caption. Category should be added to image caption to help visitors understand what is wanted or offered. If you want your ad removed before 30 days, enter number of days to keep it online. You can include multiple objects in one image. If you are not offering objects, you can use a selfie photo or any relevant image. Tip #1: Use http://picfont.com/ to add text to your image. Tip #2: If you take a picture with your smart phone, email it to yourself; download it to your computer folder; then upload it here. Suggestions for caption: Description of item(s). Price, Free or Trade, etc. Your contact information, whatever you are comfortable displaying on the classifieds page. Your caption will be edited to comply with a standard format. 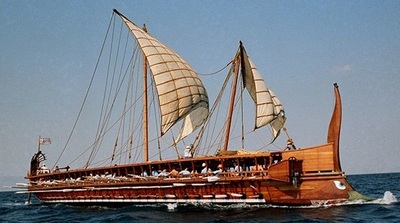 For an example, see the Trireme for sale ad of an ancient ship. 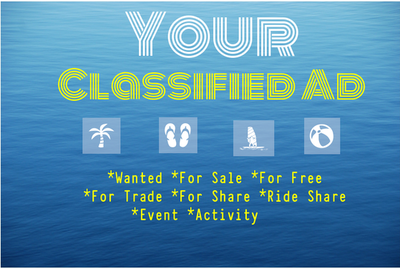 ||||||||||| OR provide a web page link if you have your own classified ad. http://www.example.com/page-name. Linked web pages may be on-site or off-site.